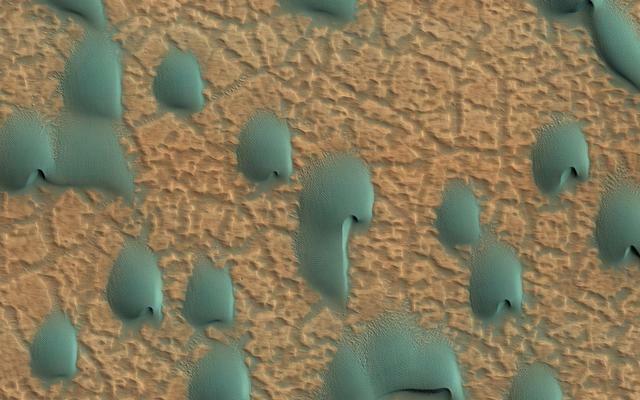 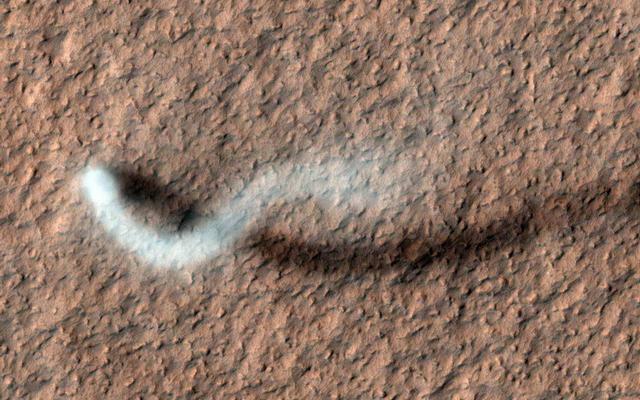 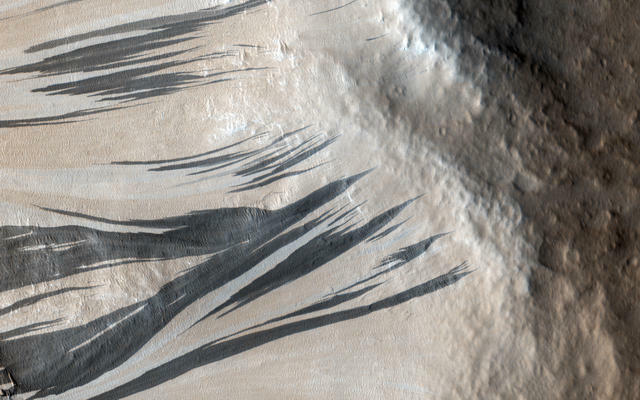 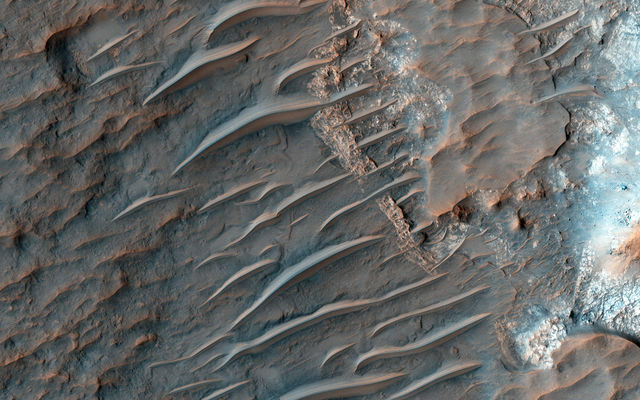 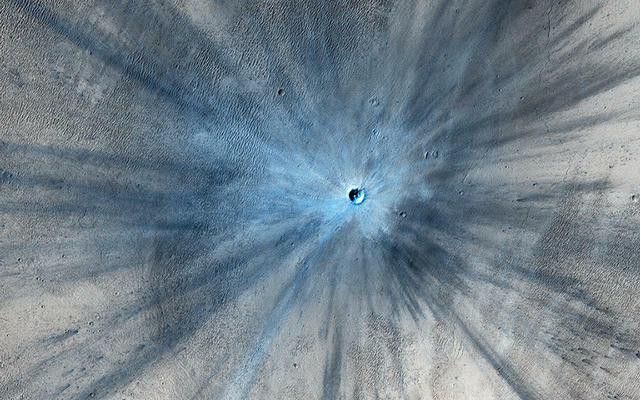 This image acquired on January 19, 2019 by NASAs Mars Reconnaissance Orbiter, shows what appears to be a new impact cluster and, extending downhill from the craters, new dark slope streaks. 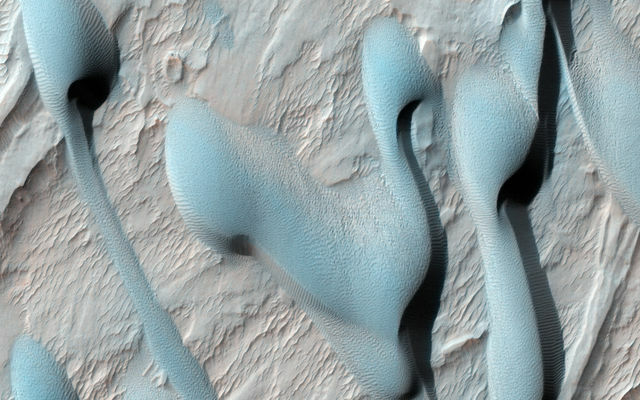 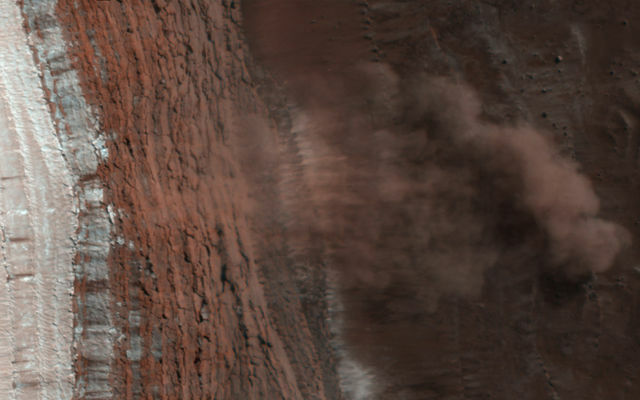 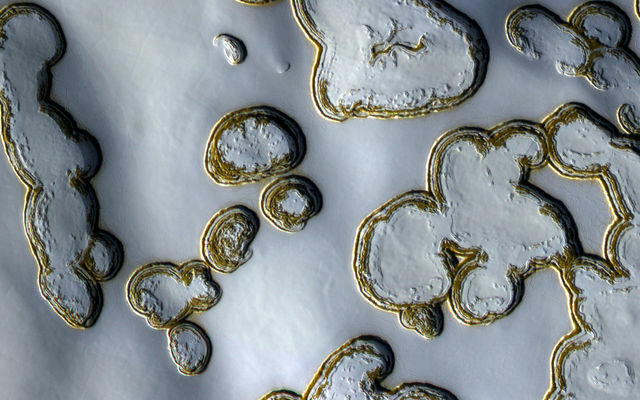 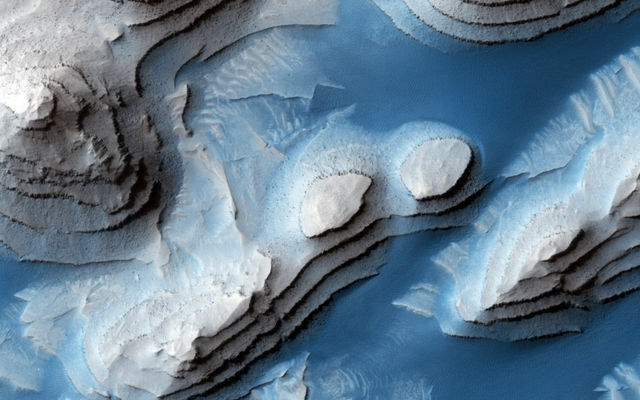 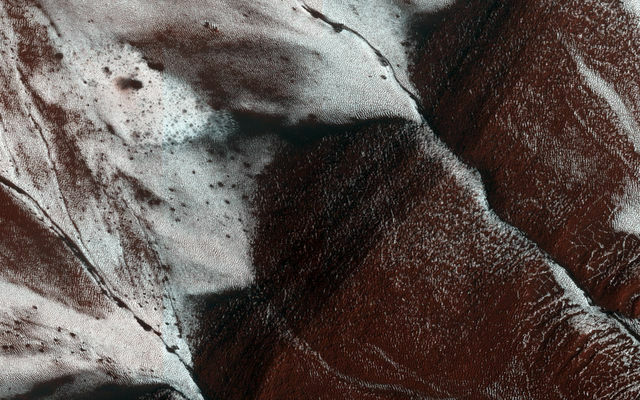 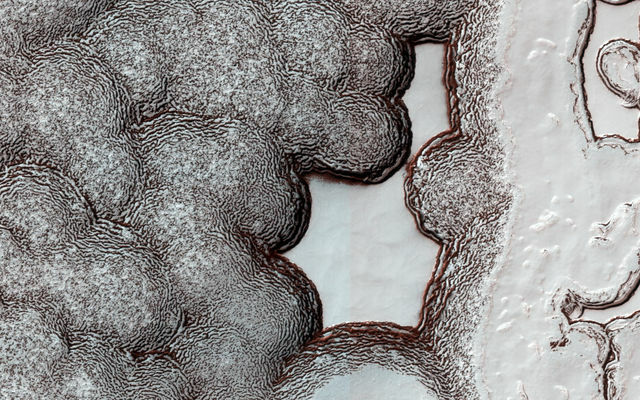 This image acquired on January 24, 2019 by NASAs Mars Reconnaissance Orbiter, shows Cerberus Fossae, a steep-sided set of troughs cutting volcanic plains to the east of Elysium Mons. 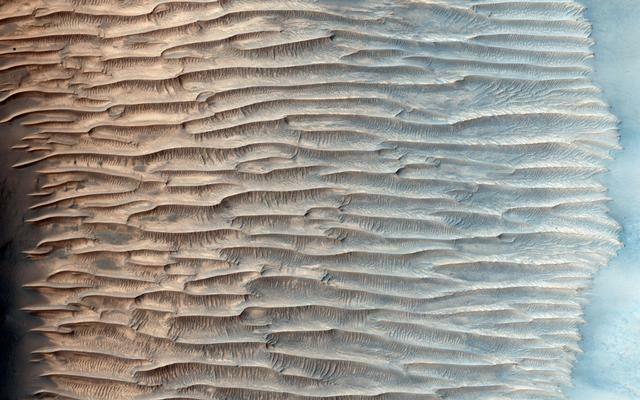 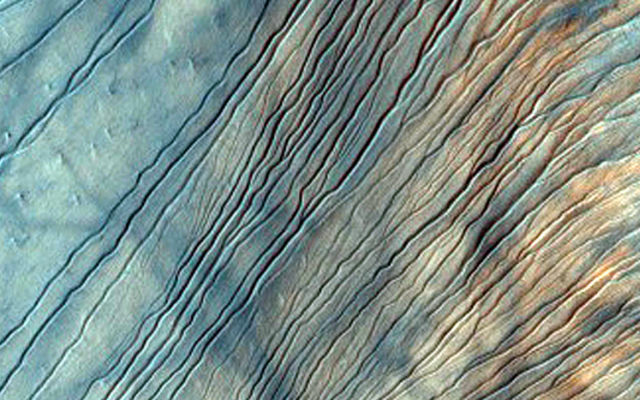 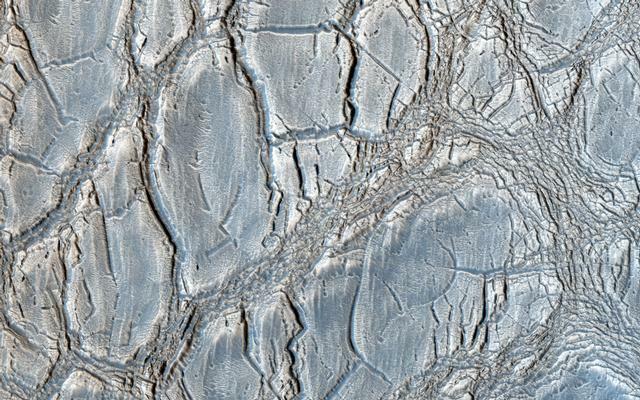 This image acquired on January 26, 2019 by NASAs Mars Reconnaissance Orbiter, shows the floor of Ius Chasma, part of Valles Marineris. 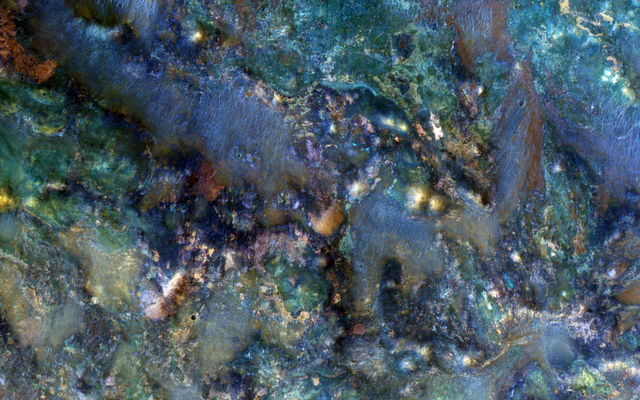 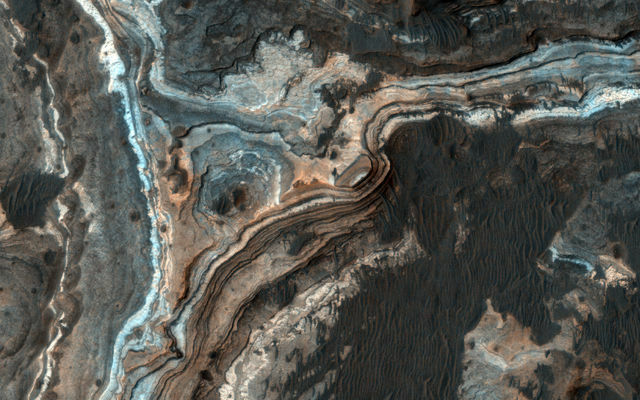 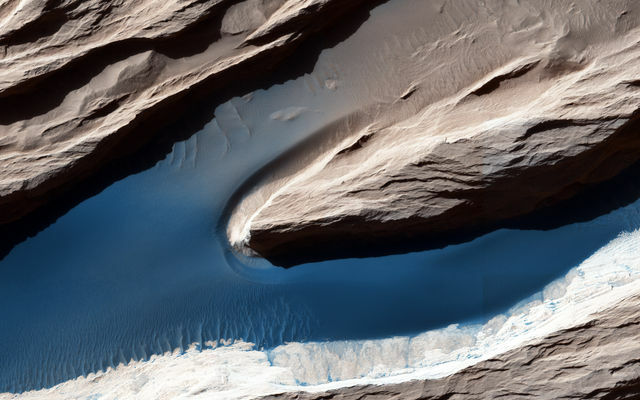 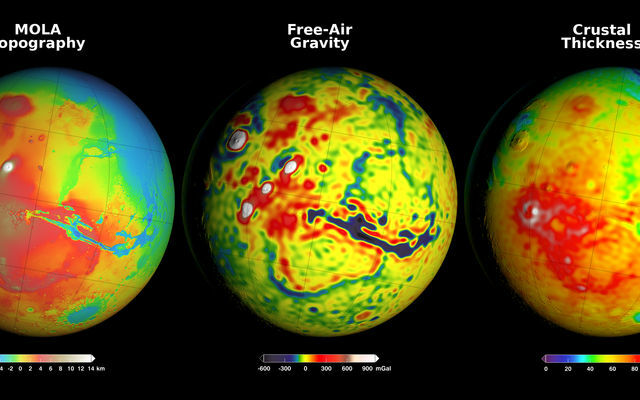 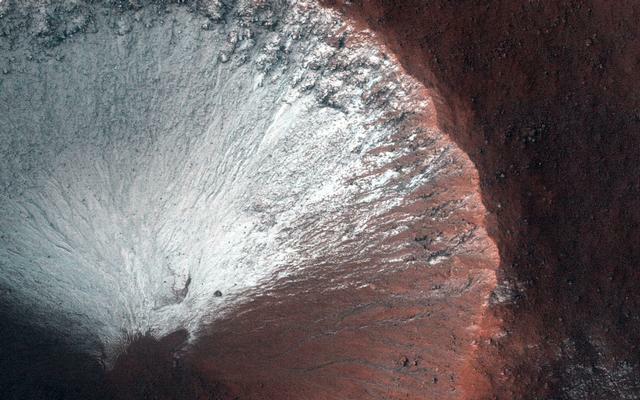 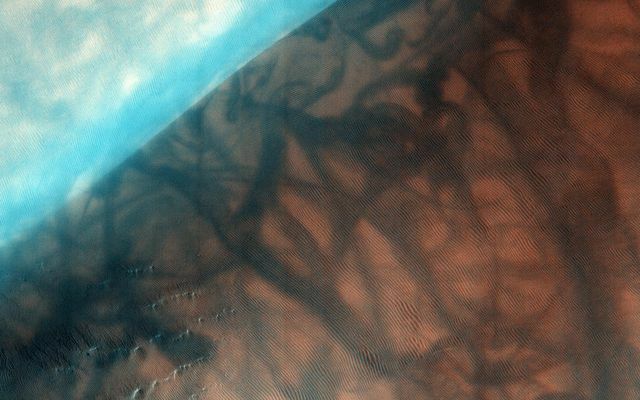 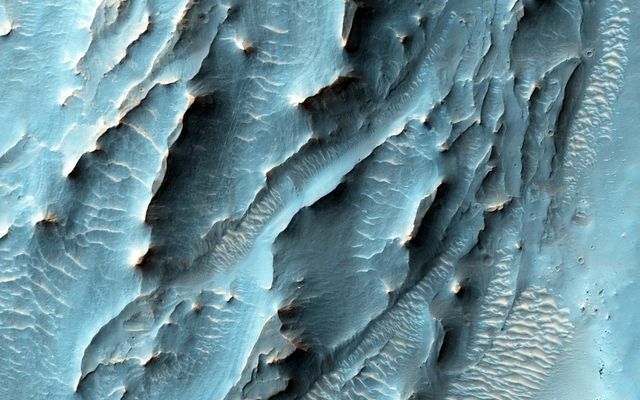 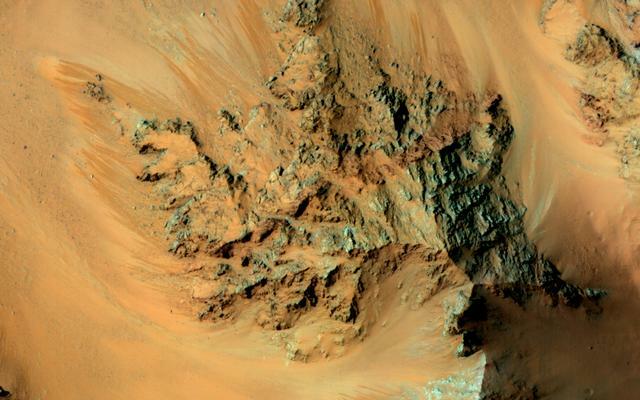 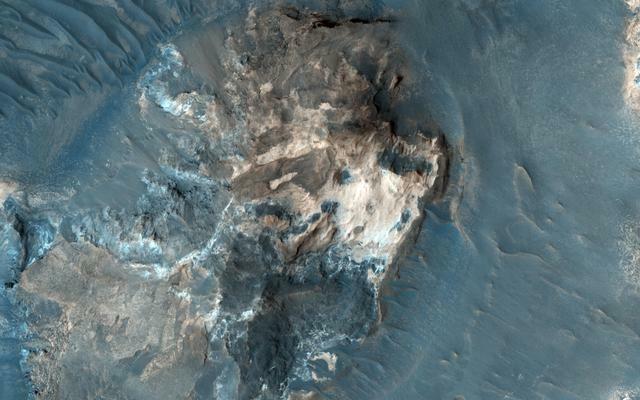 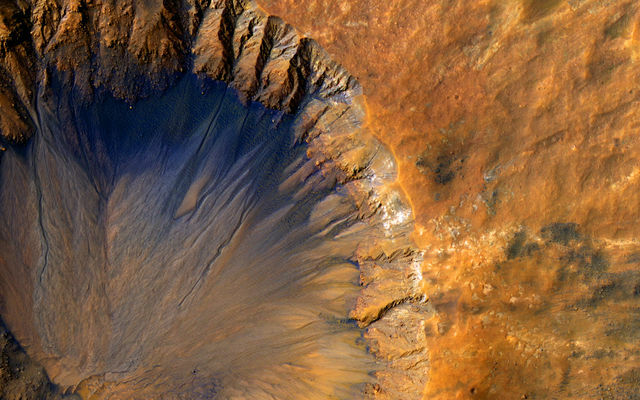 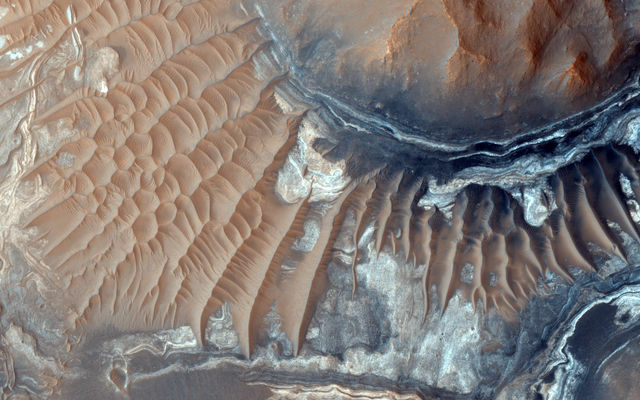 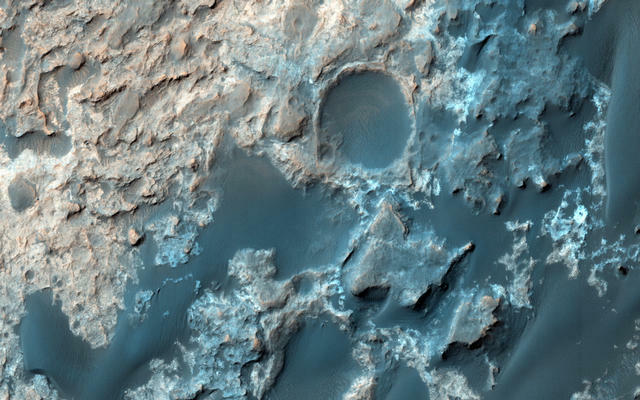 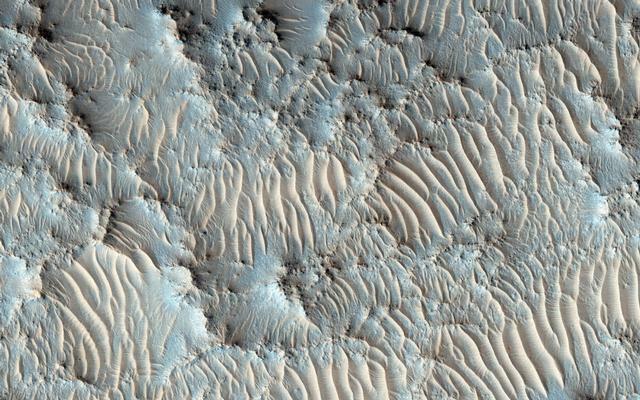 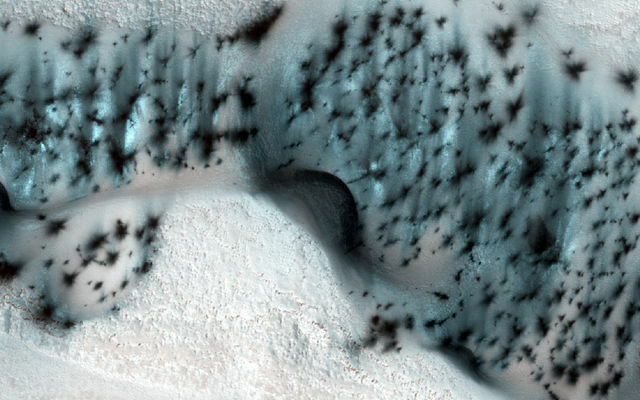 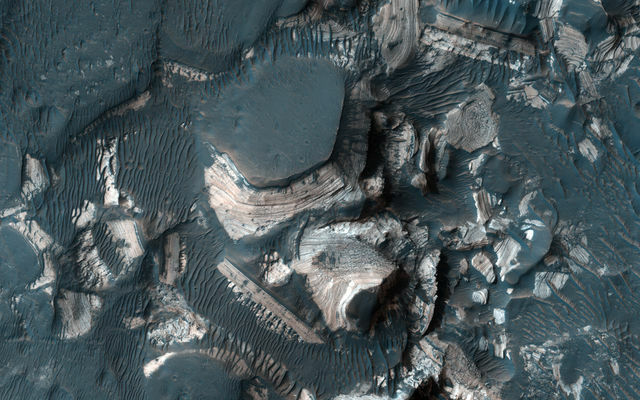 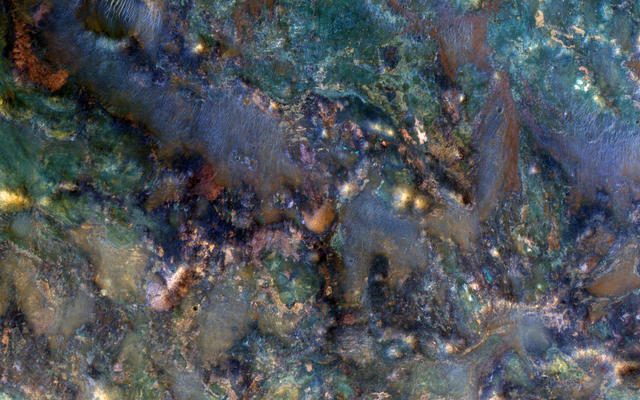 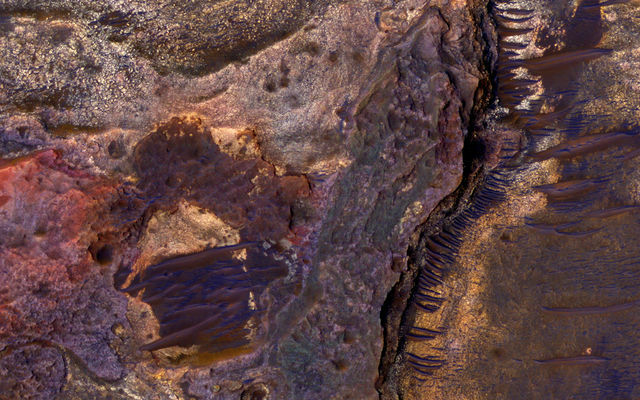 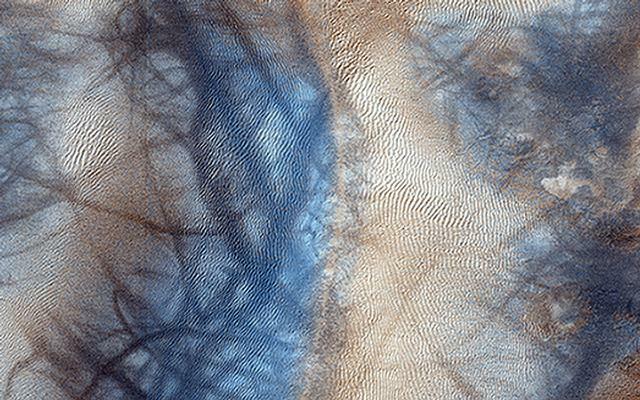 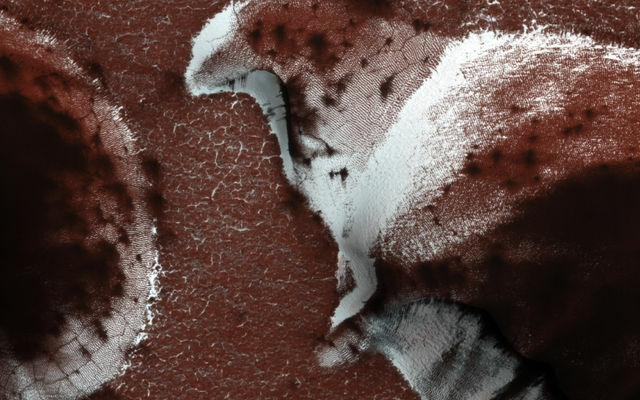 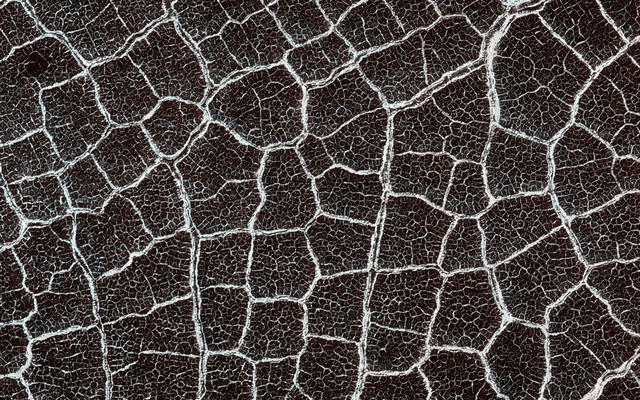 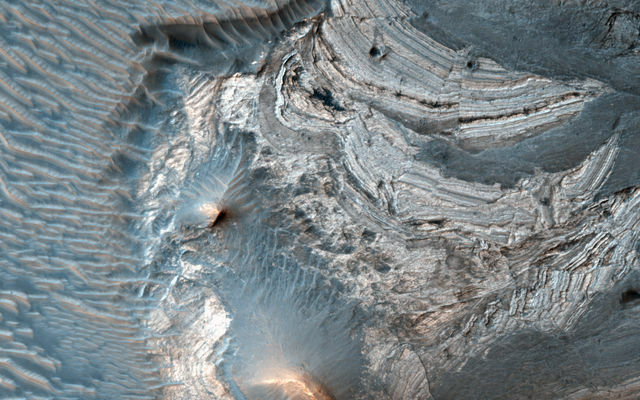 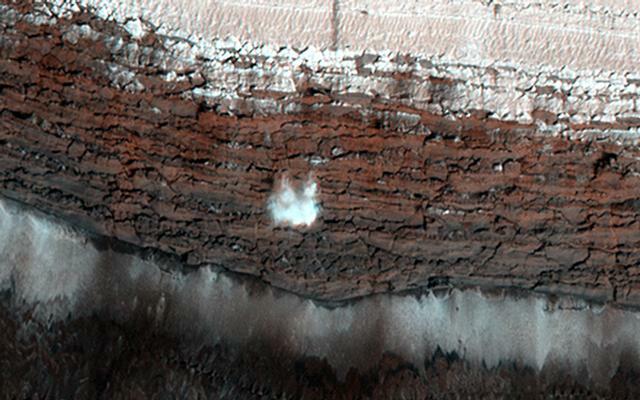 This image acquired on January 27, 2019 by NASAs Mars Reconnaissance Orbiter, shows the inside of Kaiser Crater.